When you want to share a photo or a gallery with friends, family, a message board, or even the entire Internet, an image hosting site is the best way to upload, store, and share your files. However, there are many image hosting sites, all with different features. 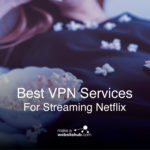 The best site for you will depend on how many photos you need to upload, how much time you want to spend uploading, and the reason you’re uploading the photos. 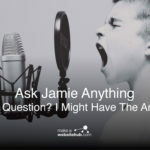 After the recent issues with Photobucket charging $400 for people to hot link images I thought I’d do some research into alternative photo hosting sites for people to use. Of course if you are a professional photographer then you may want to consider using a portfolio web builder or building your own website with WordPress and paying for web hosting. You can also use a number of free online portfolio creators to do the job as well. If you are interested in getting your own web hosting account you can check out my website hosting reviews. Google Photos is one of the best image hosting services for uploading high-quality photos in large quantities. The site has an automatic backup feature, so you don’t have to worry about losing any of your photos. Google Photos allows you to edit and organize your photos, and you can easily find older photos again with a visual search. As you use the platform more and more, it will recognize your photo habits and learn to automatically sort your photos, reducing the amount of work you need to do to keep your photos organized. 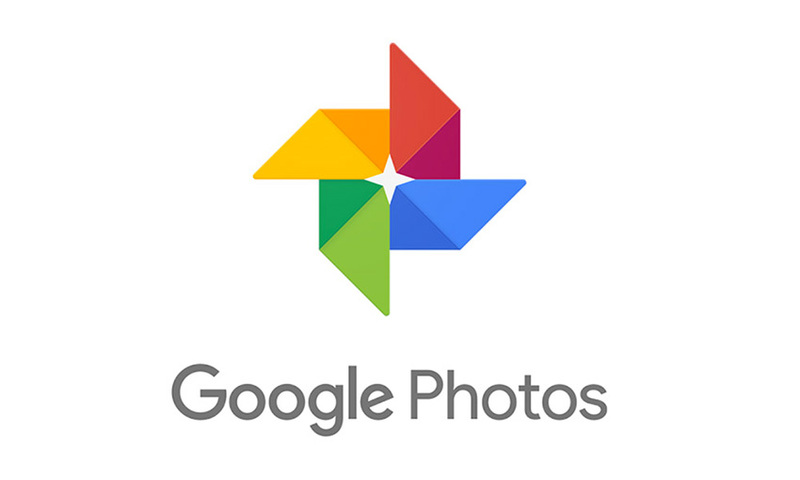 You can either go to photos.google.com to use Google Photos, or you can download the Google Photos app. The app will automatically upload all of your photos to the platform and sync them with your account. Since most people already have Google accounts, it’s easy to set up a Google Photos account and start uploading. Google Photos offers unlimited free storage for photos you take with a smartphone or a point-and-shoot camera. You can use your storage space from your Google account for photos from a DSLR camera. The platform also allows you to upload videos in 1080p. You can upload a variety of filename formats such as PNGs, JPGs and GIF images. With Imgur, you can store an unlimited number of photos without worrying about your photos expiring. You don’t need an account to upload photos to Imgur, but you can create a free account if you want to create albums, add captions, and upload your images via email attachments. They allow direct linking, and they give you a link for each image to post it in forums or embed it in HTML. To upload a photo to Imgur, paste the photo onto the Imgur website, enter the image’s URL, or select an image from your computer. There are several apps available that help you upload photos from desktop computers and mobile devices. You can upload JPG, JPEG, PNG, APNG, TIF, GIF, Animated GIF TIFF, BMP, PDF, and XCF filename formats to Imgur. The site supports non-animated files up to 20 MB and GIFs up to 200 MB. Imgur is the most popular image-hosting site for Reddit, and it lets you upload photos quickly and painlessly. You can share photos with their generated embed code. You can share the images easily on just about any social networking site, so it’s one of the most highly-rated image hosting platforms. Learn more about when to use different image formats such as PNG, TIFF JPEG and BMP. Dropbox lets you upload and store many types of file formats, including photos. It’s a free cloud storage provider that provides you with shareable links to individual files or folders. Like Google Photos, it offers automatic backup, which is an important feature if you plan to upload most of your photos. Dropbox doesn’t change, edit, or resize the photos you upload in any way. Your original, unaltered photos will always be available on Dropbox. You can also sync your photos to a Dropbox folder on your desktop. You can easily create folders and sub-galleries to organize your photos, either on your desktop or your smartphone. To share a photo, you just have to right-click on it, copy the link, and paste it wherever you want to share it. You can also import your contacts and directly email them the link to your photo or entire gallery. If you allow them to, visitors can even download your photos or albums. Dropbox offers 3 GB of storage. The platform is a straightforward, simple way to store and share photos. Although it doesn’t offer editing tools, it’s a great option if you just need to upload the original, unedited versions of your photos. TinyPic is owned by Photobucket, so it offers many of the same features. However, you don’t need to create an account to upload photos, so you can quickly and easily upload a photo for sharing. To upload a photo, you simply select the image, add tags if you want to, and set the size of the photo. You’ll get a link that you can use to share a photo anywhere. The optional tags will allow TinyPic users to find your photos through a search. TinyPic supports JPG, PNG, GIF, and BMP files. The file size limit is 100 MB, and you can upload videos up to five minutes long. You can only upload one image at a time, and each image can’t be more than 1600 pixels in length or width. If your photo is too large, the site will automatically resize it. If your image isn’t viewed for 90 days, it will be deleted from the site. Therefore, if you’re looking for a site to permanently store your photos, TinyPic probably isn’t the right choice. If you need a site to quickly upload a few photos to share in an email or on social media, it can be a great option, though. Use has a bulk upload feature that lets you upload up to 100 images at once. If you plan to upload large quantities of images, Use might be the best option for you. All the image files remain on the site permanently, and there are no limitations on storage, file size, or bandwidth. You don’t need to create an account to upload images to Use, but you can make your photos public or private. Use offers a photo editor and image re-sizer, and you can also organize your photos into albums. The site doesn’t give direct links, but you can right-click on your photos to copy the image URL, or you can use the site’s social sharing buttons to post your uploads to social media sites. Use accepts BMP, GIF, JPG, PNG, and TIF files. Flickr is one of the most famous image sharing sites on the web, and even though it’s gone through changes since being purchased by Yahoo, it’s still very popular with photographers. In addition to offering free hosting, it provides editing tools and allows you to organize your images into albums. Flickr is also a social networking site, so you can share your photos with the entire Flickr community. There are many groups for different interests and topics, including nature, black and white photography, and fashion. Users can favorite others’ photos and leave comments. If you want more privacy, you can edit your privacy settings so you’ll only share photos with selected individuals. With Flickr, you can easily upload photos with your phone, email, or other photo applications. The mobile app is very helpful and easy-to-use. Flickr also offers an uploader tool, which lets you back up photos from your computer, Dropbox, iPhoto or other locations. Flickr will now host 1000 images for free. You used to get 1TB. Ahh the good old days. 500px is another image hosting site with social networking features. Professional and amateur photographers can both share their work, comment on photos, and follow their favorite users. Everyone can upload any photos they want to 500px, but the site is primarily used to showcase photography. You can build a profile on 500px, and photographers can sell usage of their photos through the site. However, you can’t directly link to photos on other websites. If you’re looking for a platform to upload photos to share on social media or other sites 500px probably isn’t the best option for you. The primary benefit of 500px is the opportunity to display your work and network with other photographers. You can upload 20 photos per week with a free membership. If you purchase the annual membership for $25, you can upload unlimited photos, access online photography classes, and view statistics about your photos. The Pro membership also offers a listing in the site’s directory and a Pro Profile. The Pro+ membership provides you with a customizable website and an online store. SmugMug is similar to Flickr in that it gives photographers a place to showcase their work. Although it isn’t as focused on the social media aspect of photo sharing as Flickr is, users can share their photos and view other work. When you create a SmugMug account, you create a customizable photo site. There are plenty of designs you can choose from, and the site has built-in editing tools to make changes to the design templates. SmugMug has no option for free accounts, so it’s usually only used by photographers who want a platform to display and sell their work. The cost of their plans range from $40 per year to $300 per year. More expensive plans offer more storage, more customization options, and other features. You can also set up an eCommerce shop with SmugMug to sell prints or photos. You can use SmugMug within your own domain name, too. Free Image Hosting is very similar to Imgur. You don’t need an account to upload photos, and your photos will be stored on the site forever. The site gives you an HTML code to a link to your photo, which lets you easily share your files. The site supports JPEG, PNG, GIF, and BMP files up to 3 MB. The maximum file size is 3,000 KB. Free Image Hosting is a fast and convenient way to upload photos. It doesn’t have the hyperlink shortener that Imgur offers, but you can still share your photos on other sites. The site’s homepage has large ads, but if you just need a place to quickly upload a picture to share, it’s a great, quick option. With PostImage, you can store your photos permanently without creating an account. You can use the website or the desktop software to upload images up to 8 MB. You can also upload images from their URL. The site supports JPG, PNG, GIF, BMP, TIFF, PDF, and PSD files. PostImage allows you to create a gallery with a unique link to share with others. Individual files also each have a direct link that you can share with others. You can resize your photos when you upload them. If you’re planning on only sharing an image once, you can choose to let the photo expire after one day, one week, or one month. If you don’t want the photos to expire, they’ll stay on the site forever. PostImage is popular for sharing images on forums and message boards. The site has an image upload mod that forum visitors can use to easily share images. The resizing feature is also helpful for forum use because it allows users to resize images to use as avatars. ImageShack has a great interface that showcases its best photos in a layout similar to Pinterest’s. You have to create an account to upload photos, but the free account offers many helpful features. You can organize your photos into albums, and you can add tags to keep track of your images and let other users discover your work. If you don’t want the ImageShack community to view your photos, you can keep your images private or only share them with a selected audience. The site offers a 30-day free trial of the premium version, which offers unlimited space, direct linking, watermarking, and image stats. With a free account, you’ll receive 10 GB per month for storage space. ImageShack also offers multiple mobile and web applications that make uploading and sharing photos easier. For example, the ShackIt app provides an image uploader button for your web browser, so you can quickly upload photos to your account. The ImageShack Resize app lets you resize, crop, and edit images. ImageVenue allows you to upload JPEG images, and it resizes larger pictures while retaining the quality when you upload them. You can upload images up to 3 MB in size, and the site allows a maximum storage size of 3 GB per month. ImageVenue is ideal for people who need to upload and sort large amounts of images to share with others. 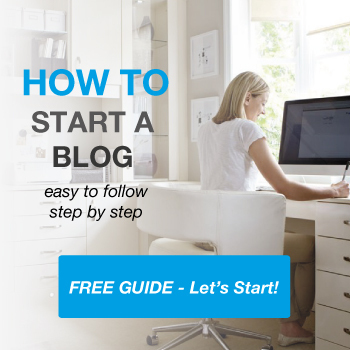 It’s a popular platform for bloggers, forum or message board users, and eBay sellers. 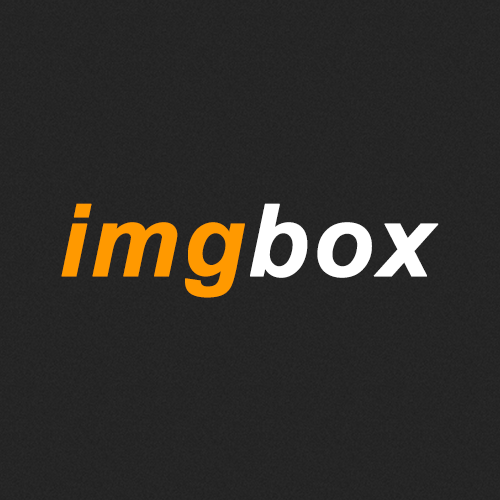 imgbox is completely free and will store your photos permanently. The site is quick and simple to use, and it offers unlimited storage space. You can upload JPG, GIF images, or PNG files up to 10 MB in size. The platform offers drag and drop uploading, direct links, forum-friendly codes, and image galleries. You don’t need to create an imgbox account to upload photos, but creating account allows you to revisit your photos and galleries. With an account, you can also preset your upload settings, which makes uploading photos much faster. imgbox lets you share images on all social network media sites. If you allow it, people can also comment on your photos through the imgbox site. This platform is a fast and easy option for uploading images, especially if you plan to share them on social media. Check out this cheat sheet of different social media image dimensions. 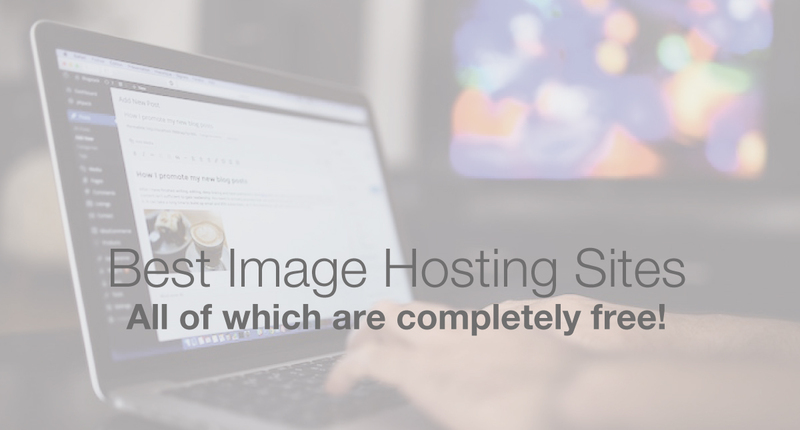 If you have used any other free image hosting sites that I haven’t mentioned in this post, then feel free to leave a comment and I’ll consider adding them to this post at a later date. I have used Flickr & Smugmug for years, but lately stopped at Slickpic. 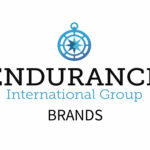 Their prices are better, interface is slick and works much quicker. However, still keeping Smugmug, as I need to export/import stuff to new service, which doesnt support automatic. My dream site would give unlimited storage, image size and PRIVACY options for whole galleries or specific images within them. Does that exist? All in one place? For free? Thanks! Flickr got bought. Goodbye 1 tb of storage. I have received a flash drive of photos, (100+) that I need to share with my sons baseball team. Each player would like to save and print the images. Are there any sites that I can do this on? Yes. https://freeimage.host – just create an account and upload image (s) to a private album and share that with anyone you’d like. Thanks for this – postimages may suit what I am after: a place to host images for an internal knowledge base that can only handle images by URL. I didn’t want anything that would share my images with the world so that excluded many of them. Some categorisation would have made the article more useful from my perspective. Hello, thanks for this site! I’m looking for a photo-sharing site that will allow me to share about 200 photos with friends. I have already organized and titled them in iPhoto and want that organization and those titles imported as well. I don’t want to have to organize and title twice. And I’d like the title to show up when they view the photo. Such a site exists maybe? Thank you! Flickr just changed their rules limiting free accounts to 1000 images. Paid accounts are still unlimited. I had been member of Flickr since 2007 and just shut down my 16000 image site. I had photographs of historical nature and of the Australian Railway scene. 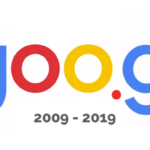 It is a shame since the take over that the site had to change. Tinypic is horrible. SO many problems trying to get an image posted. Nothing but error message after error message after error message, no matter what I tried to fix it, or what picture I used. Just gave up. What a waste of time. Use.com came up a complete error page when I tried to get on the website. All the other ones you have to create an account, which I do not consider free, as you have to give up your information and time to create an account to post images. Have had issues w/ Tinypic not supporting a wide range of file formats to include the more popular ones. Think I’m about done with them; they’re probably going the way of Photobucket. I’d stay away from imgur. They’re basically a social media site now, with reputations that go up or down, presumably based on other users’ opinions of you. They’ve also changed the way their albums work-now if you make an album public, you can’t add any new images, and I could find no instructions on how to UNDO making an album public. Their organization style is awful, making it almost impossible to find anything you might actually want. The front page features their “hot” images, which are a mixed bag of political BS, things you might want to see, and vulgar/gross imagery. 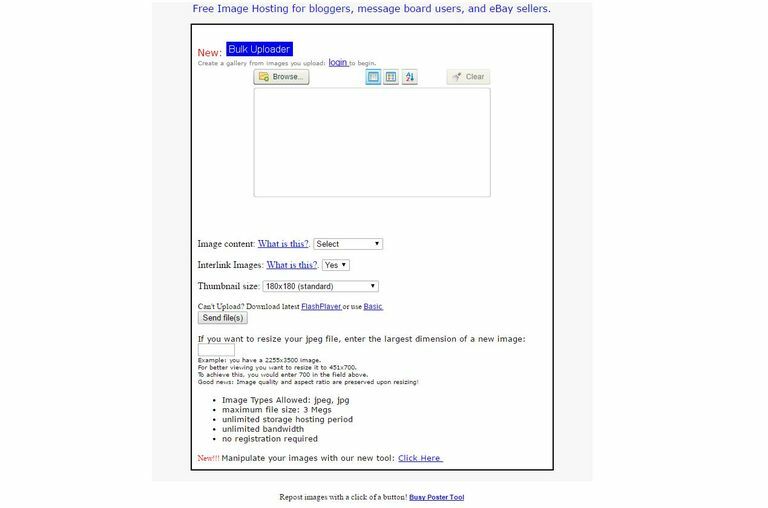 It’s a damn shame Photobucket went down the tubes-at one time they were THE best photo hosting site.